Elsie was born in Boone Township, Dubois County on May 11, 1924 to George and Mary (Sendelweck) Hoffman. She married Dennis C. Kieffner on November 12, 1946 in St. John’s Lutheran Church in Boone Township. He preceded her in death on March 10, 1984. She was a homemaker, and a reading tutor at Northeast Dubois Elementary School. She was a member of St. Paul’s Lutheran Church in Haysville, IN and their Women of the ELCA. She served as the first woman church council president and served on the alter guild, archive committees, and in their choir. She enjoyed volunteering at the Dubois County Museum, researching genealogy, gardening, flowers, reading, sewing, crocheting, blanket tacking and sitting in her backyard swing. Surviving are three daughters, Sarah Giesler (Kenneth), Haysville, Martha Buchta (Robert G.) Haysville, and Mary Bunnell (Tad), Middletown, OH, five grandchildren, Greta Foll, Graham Giesler, Melissa Krempp, Rachel Mazzier, Nicholas Bunnell, and eleven great grandchildren. Preceding her in death beside her husband were three sisters, Nora Wening, Clara Meyer, and Hilda Mann, two brothers, Edgar Hoffman and Albert Hoffman. 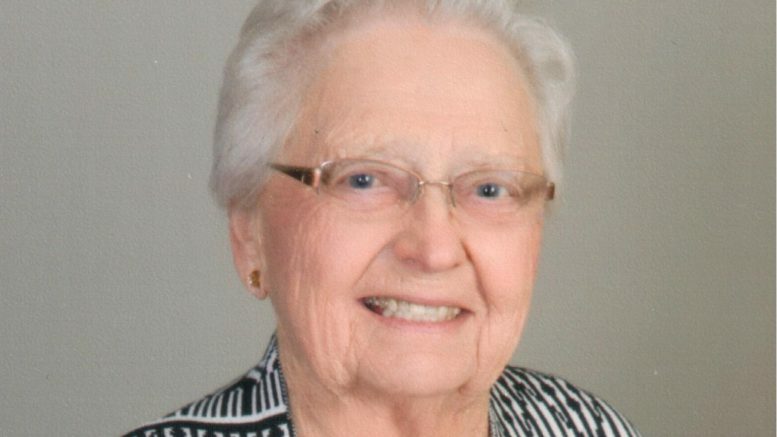 Funeral services for Elsie S. Kieffner will be held at 4:00 p.m. on Wednesday, April 10, 2019 at St. Paul’s Lutheran Church in Haysville, Indiana, with burial to follow in St. Paul’s Cemetery. A visitation will be held from Noon until the 4:00 p.m. service time on Wednesday, April 10, 2019 at St. Paul’s Lutheran Church in Haysville. Memorial contributions may be made to St. Paul’s Lutheran Church or a favorite charity. Be the first to comment on "Elsie S. Kieffner"